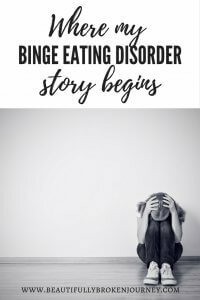 My journey with binge eating disorder began as an adolescent… long before I knew there was a name for my disordered eating. This is where my binge eating disorder story begins. 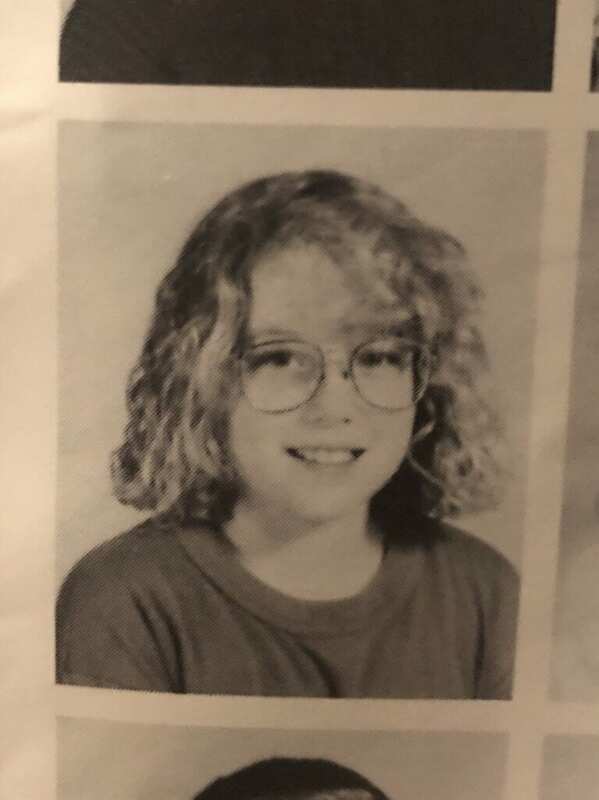 In 4th grade I switched elementary schools. I went to a new school and didn’t know a single person there. I’d left people behind that I’d gone to school with since we were in kindergarten, and starting new was really really hard on me. I’m an emotional person, and one who wants to be liked and have lots of friends. I’ve always been that way. So, when I had no friends at school, and felt alone more than ever, I turned to the one thing that was always there, and never made fun of me or turned me away… food. This is where my binge eating disorder story begins. I can remember coming home and eating out of the pantry for hours. I was home with my sister, our parents worked and so our eating wasn’t monitored after school. This is how it started. Food became my friend during a period of time where I felt like I’d lost all of mine. I gained 18 pounds and I can remember crying in my bedroom to my Mom in 4th grade about how I was so embarrassed by the way I looked and the scale had tipped to 104 pounds. My Mom did what most Mom’s would have done. She took charge and said she was going to help me. I joined Weight Watchers with my Mom soon after this conversation and so my binge, restrictive cycle began. I am going to say this up front. I do not blame my parents for this. I do not blame myself for this. There is no blame to put on anyone. God knew I was going to have this struggle so He could use me for it, and it’s taken years for me to recognize that. My Mom was doing exactly what she thought she should do, she was helping her daughter lose weight because it was upsetting her. She was doing exactly what she had done herself for years. Today, parents are given more direction but my parents had no direction and they did the best they could to help me. I do not blame them for putting me on a diet in 4th grade. My parents would have never wished this struggle upon me, so even though some of the behaviors I learned as a child contributed to my unhealthy relationship with food, I have no interest in blaming them for my eating disorder. I did Weight Watchers off and on for years, along with many other diets. I’d lose weight, then gain it all back and then the cycle would repeat over and over. In college I drove back to my hometown every Monday night and go to Weight Watchers meetings with my Mom. I would eat very little all day, weigh in, then go to dinner and eat a large meal, then have a bag of snacks packed in my car and eat the whole way home to school which was about a 45 minute drive. By the time I arrived back to my sorority house on Monday nights I was almost ill because I had eaten so much food. I would wake up the next day and be back on “plan”. I’d spend the week exercising excessively and eating just enough to counter the binge I had on Mondays or the binges that sometimes took place on the weekends. I joked a lot in college and said I was a bulimic who didn’t purge. I had no idea that was actually an eating disorder that existed. My major was Health Promotion and we discussed eating disorders but I never remember discussing B.E.D., that’s something that is still really bothersome to me because so many people struggle in silence and have no idea that they aren’t alone. After college I met my husband and we got married. A few years into our marriage I joined a weight loss center and that ended up being the final tipping point in my food addiction. I had to weigh in 3 times a week. I kept a journal of my food and had to show my journal to the people weighing me in. They would circle the “bad” foods in red marker and tell me not to eat them. A tortilla was too many carbs in one day. ONE flipping tortilla. (If you are on this kind of diet… RUN.) I believe I got down to 145-150 pounds and that’s pretty thin for me. I felt more confident only because I was thinner, but on the inside, I was miserable. I couldn’t eat anything I wanted and if I went “off” the diet, I binged heavily. I got to the point that I knew I couldn’t do it anymore and decided to leave the program (and then the following month they claimed bankruptcy… shocking, huh?) I was still working out, but had gone back to “normal” eating which included restricting and then bingeing. I never starved myself or struggled with anorexia, but I would eat minimal amounts of food to “save” my calories for a dinner out, or if I knew I was going to eat a lot later. I would basically eat enough to keep my blood sugar up, but I would feel hungry. It wasn’t healthy. Even writing this out I am shaking my head at how unhealthy this is, and I didn’t even realize it. Then one day during this time I was at the gym and happened to be on an elliptical next to a woman I knew. She was getting her masters and was talking to me about how she was studying Binge Eating Disorder. I asked her lots of questions because I’d never heard of it. I can remember walking out of the gym feeling like I had been given information I couldn’t ignore. It was almost an out of body experience because when she explained it, it was almost like she had crawled into my deepest darkest secrets and exposed them to me for the first time in my life. I am so thankful God placed us next to each other on the ellipticals that night. That conversation started a revolution in me, and it’s taken many years to find my peace, but if she wouldn’t have shared with me that night, I would still be a miserable woman trying to lose weight and find happiness in a body I hated. I don’t know how much time passed between the recognition of the disorder until I was sitting in a therapy office discussing my food issues but I can tell you that what came next, I wasn’t ready for. God was, but my husband and I were not. Binge Eating Disorder almost cost me my marriage. It tried to rob me of my happiness, my future and my health. But, I didn’t let it win. I am here today telling my story of freedom to give others hope. If you can relate to any part of my story, I want you to know that you are not alone. There are many others who struggle with Binge Eating Disorder. 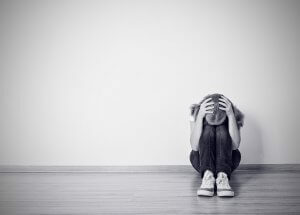 I didn’t know that when I was going through therapy, I had never felt so alone. No one around me understood what was happening and why I was doing what I was doing. They couldn’t understand why I couldn’t “diet” or just get motivated to lose weight. Looking back, it all makes perfect sense, but in the middle of that mess I can see how my family and friends were concerned. I gained 100 pounds in my first year of therapy. I became extremely depressed and was on several different medications to treat my depression and my eating disorder. My life felt like it had no purpose. I lived in a dark hole that I could not break free from. One day I did though. And I will spend the rest of my life offering hope to others who are feeling alone. I will grab your hand and tell you that you have a friend in me and you have a future where you have freedom from food. I broke free, and you can, too. Thanks Amy for being so vulnerable and open to share your story. Thank you for sharing. It’s so scary & yet comforting to know I’m not alone. Wonder if my binging is what has made me unable to shed the weight. Lizette, that is exactly why I never could get to a healthy weight, and when I would, I couldn’t maintain it. wow, this really hit home and brought tears to my eyes. i definitely need to take more mental steps on this WW journey. Did you find a therapist that specialized in this? Or just addiction in general. I found a therapist who specialized in eating disorders. I wish I could remember exactly how I found her, but I honestly can’t. That part is a blur. I’d encourage you to google eating disorder therapists in your area. Wow. I can relate to this. I only dream of coming out of it, I’m still stuck in that awful place. You can, Kelly. I promise you. I know it may seem hopeless, but there is freedom from food. WOW! Just WOW! I don’t even know all your details, but you could be talking about me!!! So proud of you and hoping that I learn something that will help me. Thsnks for your honesty and openess! Thank you for sharing. I’m going through a very similar journey. I didn’t know binge eating disorder was a thing until a few months ago, and honestly, I’m struggling with dealing with this new disorder i’ve been diagnosed with. It’s so nice knowing I’m not alone! I can remember that feeling too, Amanda. You aren’t alone in this. Thank you. God Bless for continued sobriety with food. Hi, Mindy. You can overcome it, too. I hope it sparked something in you to take a step towards change and into a healthy relationship with food. Freedom from food is possible. Hope I can help give you hope. You got my attention with this entry. My eyes were open wide while reading and my heart was pounding. For years I have suffered with binge eating. For many years I was able to exercise my way to an ok weight to combat the extra calories I was taking in. As I’ve aged, metabolism and pre-menopause have shown me that you cannot out run a miserable diet. My binging and weight have taken over my life, happiness, confidence, and overall well being. I have such shame and depression with being unable to control my eating. My weight is out of control. My health is beginning to decline due to the extra weight. I’ll try to keep plugging away to a better health but a majority of the time it seems hopeless and a lost cause. It’s not a lost cause, Annie. You can overcome this. Every day is a brand new chance to become better and braver. You are not binge eating disorder. I believe you can find freedom. The best “first step” I can offer is when you feel a binge coming on is to ask yourself if you are physically or emotionally hungry first. If the answer is emotionally try to address that. If you don’t deal with it until after the binge, then ask yourself the question then what it was about. It will make you more aware of whats going on internally, and hopefully with practice, it will help your binges be fewer and farther between. Just this year I went back to counseling because my bingeing was out of control. I have been in WW for two and a half years (this time) and hit my goal weight/made lifetime last summer. Then something happened in December that unleashed my bingeing worse than ever. I realized for the first time that (for me) it was a form of self-sabotage, that I hated myself and stuffing myself with ridiculous amounts of food was a form of self-harm. In the past 6 months, I have worked with a counselor to uncover and reform the core beliefs I have about myself. Those beliefs were set by some abusive things that happened to me as a child and teen. I am finally beginning to see myself clearly, to put blame where it belongs, to be free from shame, and to love myself for the first time ever. This summer has been one of far less bingeing. I haven’t binged in almost a month. I am feeling more and more free… but also very aware of the kinds of thoughts and actions that can trigger those old destructive habits. Thank you for sharing. I believe that a significant percentage of overweight people are struggling with this to some degree. Diets will never do it. We have to go way deeper and let God heal us at our core. It can be an ugly and difficult journey at times. I have called myself “broken” for many years, but it was not a positive. Like you, God is showing me that there is beauty in brokenness, that there is no shame when I offer Him my broken pieces to be used for His glory. Thank you, Amy for sharing your story and your journey with us. Courage!! You have it! Thank you for being so open with your story, Amy. It means so much to me personally because you have inspired me to get healing for my body image issues. I am so thankful to be FREE from that ball and chain. Following an eating plan (I’m using MFP) is much easier when you actually want to take care of your mind AND your body. I truly believe God put you in my path and I’m so grateful. You are a beautiful writer too, my friend. Thank you so much, Marie. I appreciate your support and encouragement and know that God placed us in each others lives for a reason. Hugs, friend. Hi Amy, this sounds like me . I don’t think it matters how much I binge on it’s the fact that I repeat the bingeing behavior, I once made my WW goal but now I’m off again. Thank you so much, I know I have a place to begin , the fear of failure is so strong it’s hard to do this again. With Gods help all things are possible, I just need to ask ! Absolutely, Nori. You are not alone. I fear failure too. I think that is a common feeling for all of us. Believe in yourself, and believe in God’s power to radically change your life. Wishing you the best of luck on your own, beautifully broken journey. WOW, like many before me have replied, you have described myself in a nutshell. The crazy part is, I have just completed my masters and am a nurse practitioner. I have studied binge eating disorder, have talked about it with my clinical preceptor as we diagnosed a patient with it. However, I didn’t think that was me, until I read your blog. I tell myself that a cheat day a week is my “treat” for staying on plan; however, when that day comes I go crazy. Then I am depressed and beat myself up about it. Sometimes, my cheat days turn into a week or even more. I deprive myself all week, waiting for my cheat day, then I go crazy or I have a bad day and totally give up on myself. Last year, I got in touch with a personal trainer. We worked out and I had to follow a VERY restricted diet. It worked, as I lost 50 pounds in 5 months; however, I never had dinner with my family due to my eating “schedule”. I couldn’t enjoy going out with them because I was so restricted. I felt great working out, but I hated the food I ate and hated that I could never have the things that I enjoyed. I got pregnant and stopped the diet/workout plan. My son is now 2 months old and I see myself slowly creeping back up to my highest weight. I do NOT want to be there again. I so badly want to start working out again and stay on plan, but I am struggling so hard. How do you prevent yourself from the restrict/binge lifestyle? How can I train myself? I struggle with holding myself accountable, when my trainer checked my fitness pal, weight me, and measured me I had no choice but to follow my diet. But, how can I do this myself? Sorry for all the questions/long story, I never reply to ANYTHING. Your story is very inspiring. Hi Jessica, My Weight Watchers meeting is a huge part of my success. I am not in therapy for binge eating currently and it feels like my weekly “therapy” session. Having a group of people who understand where I’m coming from and my struggles is so incredibly helpful. Also, I follow a lot of others living healthy lifestyles on Instagram and listen to podcasts. Podcasts have become a huge way to keep me focused the last few months. The best way I know to tell you to stay out of the restrict/binge cycle is to incorporate foods you love into your diet everyday. Nothing is off limits for me. If I want a cookie I eat it, and track it. If I’m hungry and out of my points, I eat. My body knows more than anything and when I stay in tuned with it, it never lets me down. I’ve had years of practice, it is not easy, but it can be done. Take one habit, start small, and do it one day at a time. Think of WHY you want to be healthy and let that drive you. Your why shouldn’t be a number of the scale, it should be more meaningful than that. My why are my boys and I want to be as healthy as I can be for them. On hard days, I remember that I want to be my best for them, that doesn’t mean I don’t let them down, I do… but I always try to do my best. Amy, I am so glad that I came across your blog today. I could have been reading about myself, to the point that I literally gasped when I read about you joking that you were a “bulemic who didn’t purge,” as this has been my line for as far back as I can remember. I only recently read about B.E.D. and I know that is what I have. I too have been going to therapy for over a year to deal with depression and anxiety and it’s only been in the last session or two that I have confessed my binging, but I brought it up when there were five minutes left in the session and completely downplayed it. My therapist was in a (minor) car accident and is taking some time off to heal and recover so I am waiting to see her again to really delve into this together. I don’t want to live like this anymore. I too have been, and still am, a WW member and while I love the new plan I am having a hard time really living it. I have two wonderful boys and a fantastic husband who all love me, I have a job that I really enjoy, good friends and a home that is my sanctuary and yet still, I feel like a complete and utter phoney because despite all of this good fortune I am miserable and unable to feel real joy or good about myself. I am ashamed of the weight I’ve gained and I’m starting to feel the physical effects of carrying around too much weight. Your post gives me hope that there’s a light at the end of this dark tunnel. I appreciate your honesty and vulnerabilty—thank you! Sandra, I hope and pray you are able to talk to your therapist about this soon. It will help you so much. It will probably bring up some hurtful emotions that might be hard to deal with, but please keep talking about it. Getting it all out will give you the freedom you are looking for. Praying for you and that you know there IS light at the end of the tunnel. Wishing you self love and acceptance for the journey. I came across your blog today while searching for a collegian supplement 🙂 then I read your story. I suffered from BED and Bulimia for many years and when I think of the pain I went through it hurts me deeply. But I also know that I am who I am because of my past experiences so I am grateful. I am still learning how to stay connected with my body and mind and I never say or believe that I am fully recovered from ED. Thank you for sharing your story. I’m glad you found my story today. I believe once you have an ED we must always stay on “top” of it in hopes to find and keep true freedom. Wishing you hope and peace on your own journey as well.